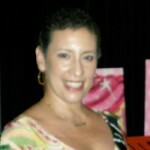 I was diagnosed with breast cancer at the tender age of 39, after experiencing a major break-up internationally, relocating back to the U.S, and completing a Kundalini Yoga Teacher Certification. While living with my parents during this time of transition into excellent health, as a yoga-teaching vegetarian, I found a lump in my left breast. Little did I know that it was breast cancer. I knew nothing at the time about cancer in general, except for the fact that no one in my family had ever had it. Within the first year of my diagnosis, I was very vocal about my whole experience and raising awareness when I became a CanCare Volunteer and was matched with women who had recently been diagnosed. One woman I worked with was metastatic, so I reached out to a friend named Rachel and she shared info about Breast Cancer Action’s Think Before You Pink Toolkit. It opened my eyes because it had so much weight. I KNEW that there was a link between what we put in and on our bodies and breast cancer. That was in 2010, and sadly Rachel has since died of breast cancer, but her legacy lives on through me. That is why I was one of the original Community Leaders for Change when the program first started. My goal is to support heightened awareness about where we are putting our efforts as survivors because breast cancer is not pretty, nor would we ever wish it on our worst enemy. Knowledge is power. In addition, cancer patients are anything but patient. My message is not about me, but those not yet diagnosed with cancer, because prevention is key to a future without cancer. 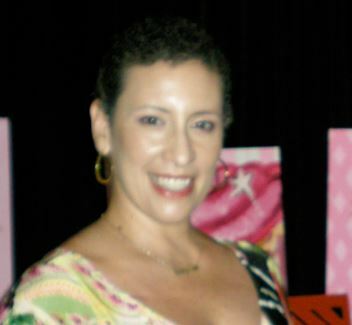 By the time I was finished with breast cancer therapy, I had changed my life again, going from corporate work to nonprofit development and advocacy. I even went back to school to complete a Certificate in Nonprofit Leadership from Rice University focusing on the growing patient-centered healthcare movement. Within one year I was awarded more than thirteen scholarships to attend research symposia throughout the country and even as far as Portugal and East Africa to attend and report back to all the newly diagnosed women that needed the information the most. As a consultant, I took on projects that were of interest to me and my work, but soon found that my experience as a yoga and meditation instructor was truly a gift. By sharing a message of hope through research and advocacy, my intention is to launch a nonprofit committed to integrative wellness with evidence-based programs. To learn more about Sandy and follow her work, please go to SandyMCastillo.org or follow her on Social Media.